Israeli soldiers invaded, on Thursday at dawn, Shweika area, in the northern West Bank city of Tulkarem, searched homes, and car repair workshops, violently searched them and abducted three Palestinians. 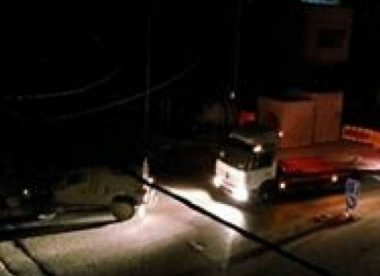 The soldiers also invaded homes near Salfit. The Palestinian Prisoners’ Society (PPS) said the soldiers abducted Nasri Wasfi Abu Aisha, 35, Khader Adnan Obeid, 32, and Amjad Bassam Bahti, 42. The soldiers also invaded several car repair facilities in the al-J’aroun area, west of Shweika, after detonating their doors, and conducted extensive searches, leading to property damage. In related news, dozens of soldiers invaded Palestinian homes in Zawiya town, in Salfit governorate, in the central West Bank, before storming and ransacking many homes, and interrogated many residents while inspecting their ID cards. Local sources identified owners of some of the invaded homes as Abdul-Salam Shqeir, and his sons, in addition to Sari Salim Shqeir and Nabil Sahqqour. The soldiers interrogated many Palestinians, especially seniors, women and children, for more than two hours, the sources added. Resident Abdul-Salam Shqeir said the soldiers caused excessive damage to his home, especially by smashing property using their batons, in addition to searching the family’s barn, also leading to damage.